There are various baptisms in regard to our walk with God: Salvation, water, fire. But there is one baptism that is largely overlooked, and even unrecognized. This baptism brings the greatest healing and freedom to every believer that has experienced it, a Baptism of Father God’s love. There are only a few people in this world that truly understand what is means to be loved unconditionally. The rest have no idea what it is to receive and enjoy a love without strings attached, without preconditions, or without a pre-nuptial agreement. It is love that only our heavenly Father can give. Let the words and spirit of this book sink in deep as you read it, and get to know your Father and His amazing love for you. 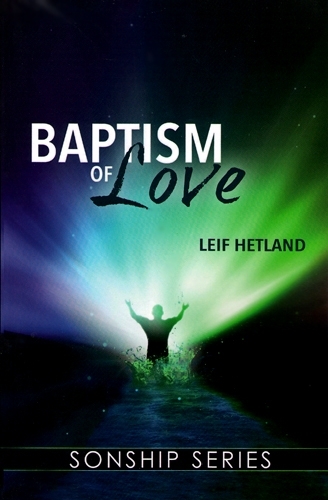 Well known for his ability to stir a passion in Christians for missions, Leif Hetland is the founder of Global Mission Awareness with the purpose of raising up an army of Great Commission Christians that will make His last commandment our first priority. Today, GMA is involved in reaching the unreached in 23 nations. GMA believes we are healing into a homestretch of the greatest race in human history. A message that has been passed like a flaming torch from person to person and nation to nation for over two thousand years is being handed to GMA. We are dedicated to the 66,000 people who will die today having lived their entire lives never once hearing the Gospel of Jesus Christ.